Work in progress on a new project to debut on June 6 at the Galleria Civica in Bressanone inspired by a collaboration with curator Elisa Barison and the A. Weger printing company. Artist Residency at Spazju Kreattiv in Gozo, Malta with Jennie Suddick. Stay tuned for images of our video mapping project around the islands of Gozo and Malta. 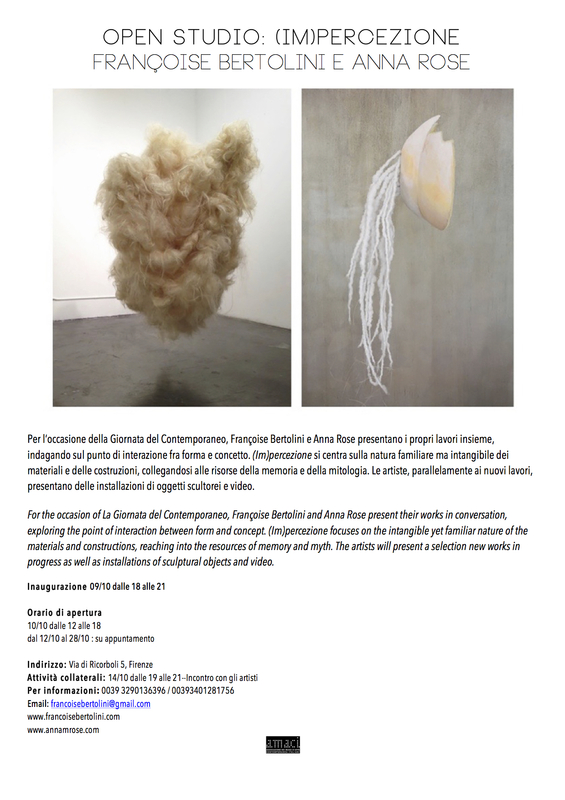 I am extremely grateful to have received a STEP Travel Grant funded by European Cultural Foundation and Compagnia San Paolo in support of this project. Primavera in Sospeso (2018), Robert McLaughlin Gallery, Oshawa (Canada), in collaboration with Jennie Suddick. Artists in residence from May 8-June 9, 2018. 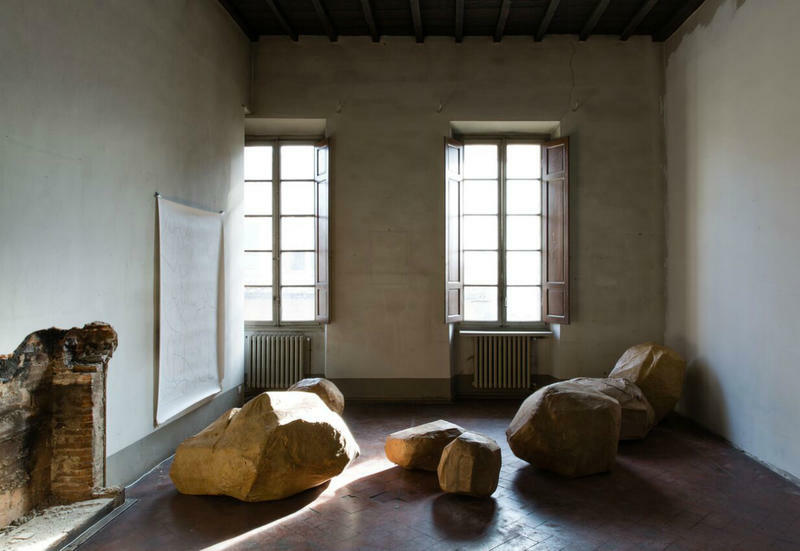 Eleven Spaces at Numeroventi, Florence. 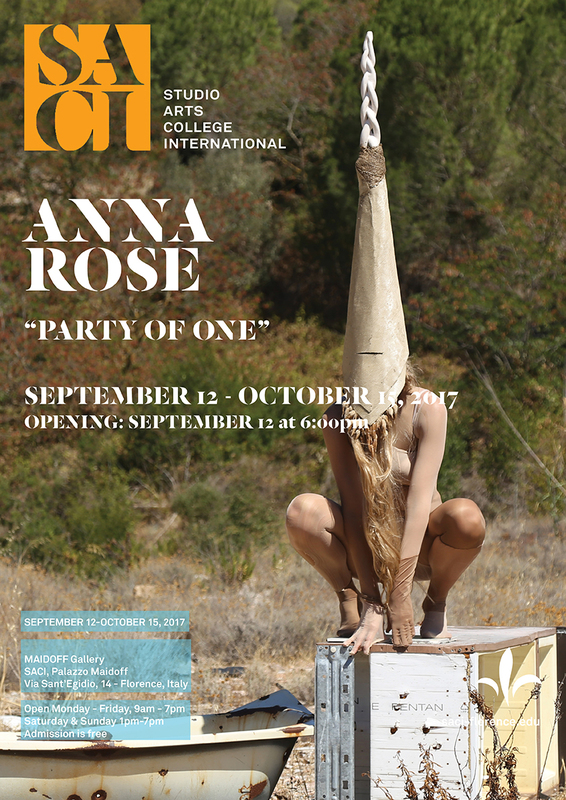 Opening on September 12 at the Maidoff Gallery in Florence! More info here. Last month I had the chance to spend a week at Artscape Gibraltar Point on Toronto Island for a mini-residency called SoftWear focused on wearable technologies. So much still to learn, but lots of new ideas in the works. 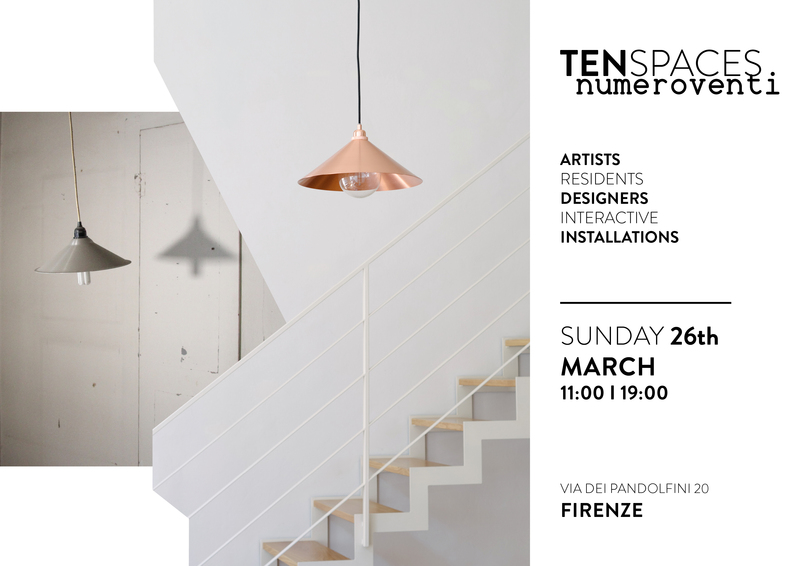 New installation in the works for Ten Spaces at Numeroventi in Florence! Primavera in Sospeso at Come Up To My Room 2017 at The Gladstone Hotel (Toronto) in collaboration with Jennie Suddick! INSIDE LOTTOZERO opens tonight! Find out about the space and the artists in the show here. 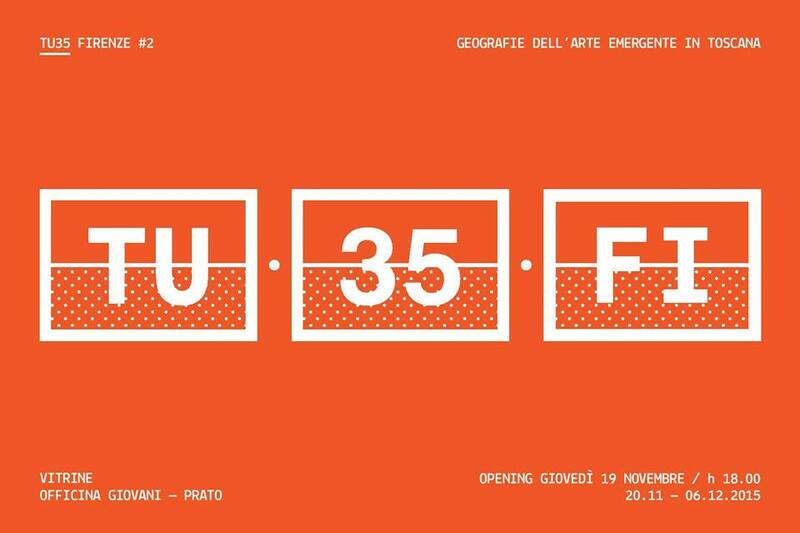 So excited to be selected as one of the 25 finalists for TU35, a survey of artists under 35 years old in Tuscany presented by Centro per l’Arte Contemporanea Luigi Pecci. Opening in Prato on October 12. Over the summer I spent a day working at Numeroventi, a brand new artist residency, event and exhibition space in Florence. Check out a few of the images here. 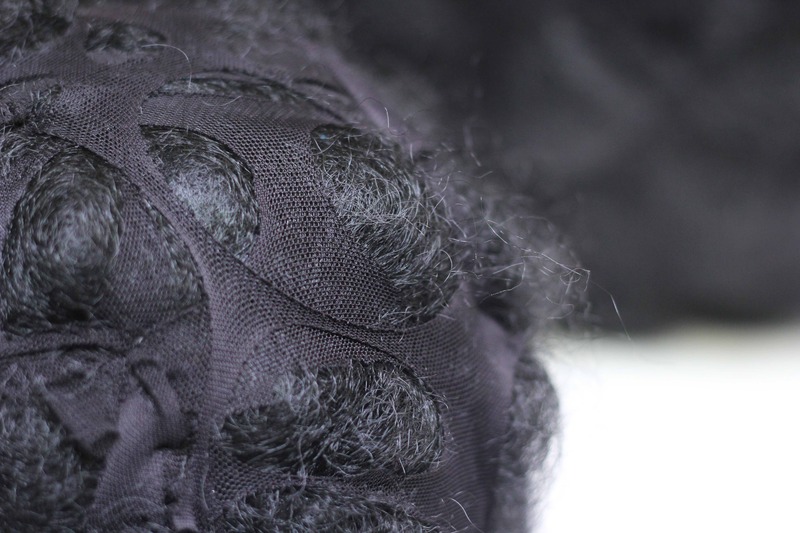 I am so excited to be included in the inaugural exhibition at Lottozero, a brand new exhibition and workspace focused on the use of textiles in contemporary art. The opening will take place on October 15 here. 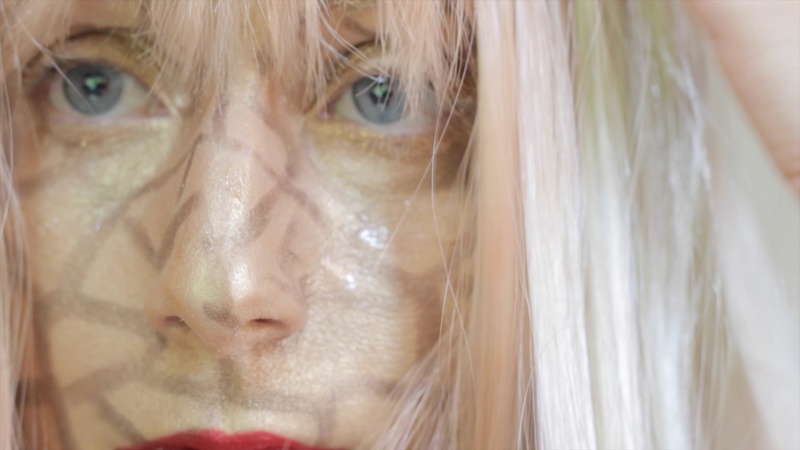 But first the exhibition is traveling to Kunsthalle Eurocenter Lana in Bolzano for the Transart Festival on September 17! Read an interview with me in Llamas Valley! I am so incredibly excited to be featured in Juxatpoz Magazine! March 31-April 21 Chiostro Brunelleschi, Florence. Info here. 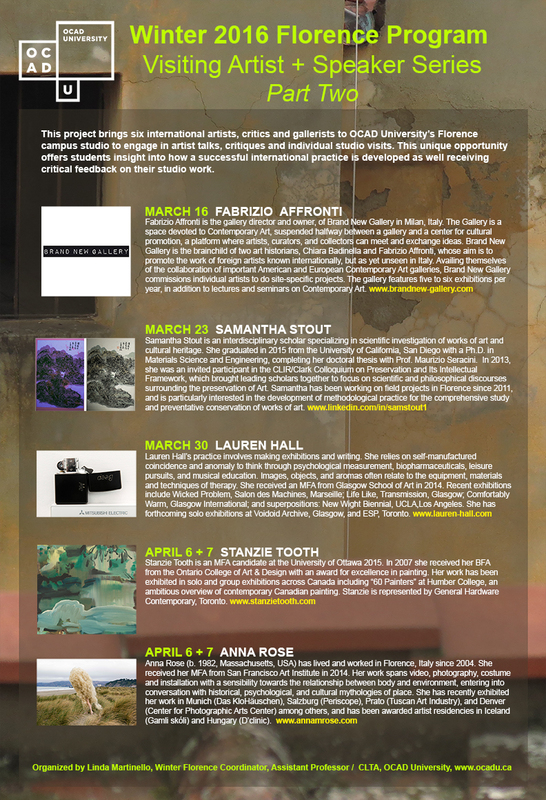 Looking forward to participating in the OCAD University Visiting Artist and Speaker series in April! 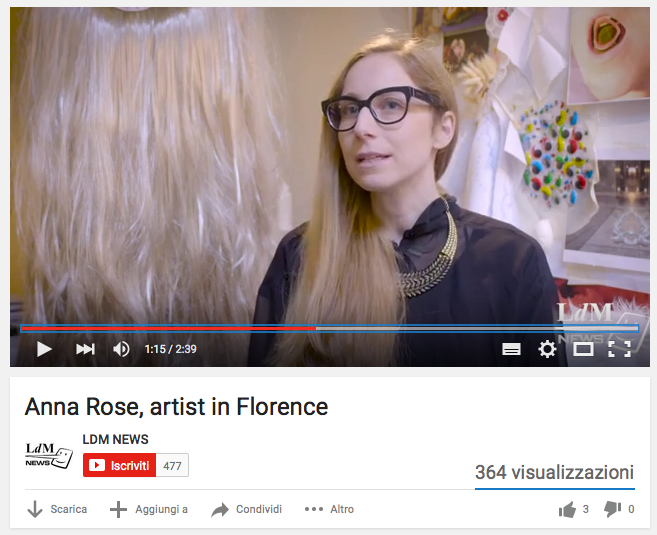 See me talk about making art in Florence in this video by LDM News and The Florentine. Reliving happy memories from my November Residency at D’CLINC! 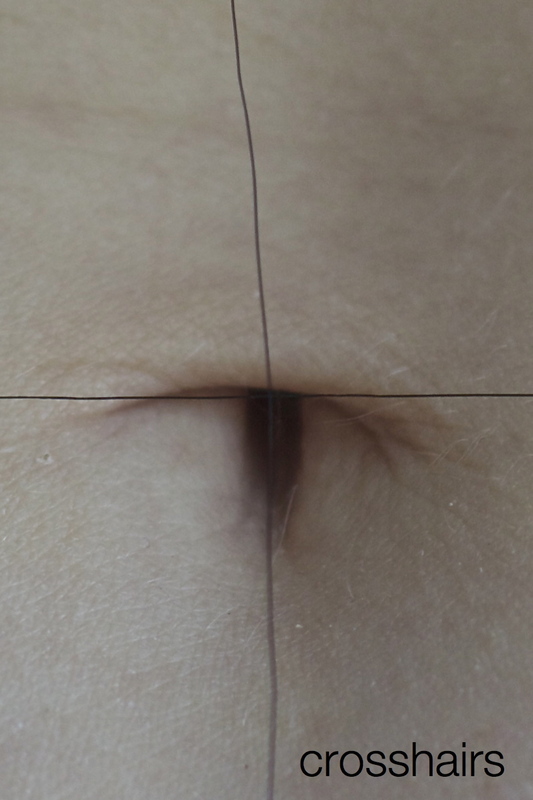 The Best of D’CLINIC 2015 exhibition is on now at VMK – Gonczi Gallery in Zalaegerszeg. More info here. Opening November 19 at 6pm. Officina Giovani, Prato. On view through December 6. So pleased to be included in this show! Find more information here. See photos from the exhibition here. Telling it how it is in this interview for the fantastic blog Girl in Florence. This month I’ll be working at D’CLINIC in Zalaegerszeg, Hungary. Keep up with my adventures and see work in progress on Instagram. See images here from the final exhibition with my two co-residents, Jane Fogarty and Dervla O’Flaherty. It was a great month in excellent company! I’ll be posting work soon. October 9-October 28. View images here. Hair Picnic is underway at Das KloHäuschen! Read more about the show (in German) here. Very excited to be selected as a finalist for Premio Combat 2015. The Mediterranean Diet will be on view from June 27th to July 25th at MUSEO CIVICO GIOVANNI FATTORI ex GRANAI di VILLA MIMBELLI and FORTEZZA VECCHIA of Livorno. 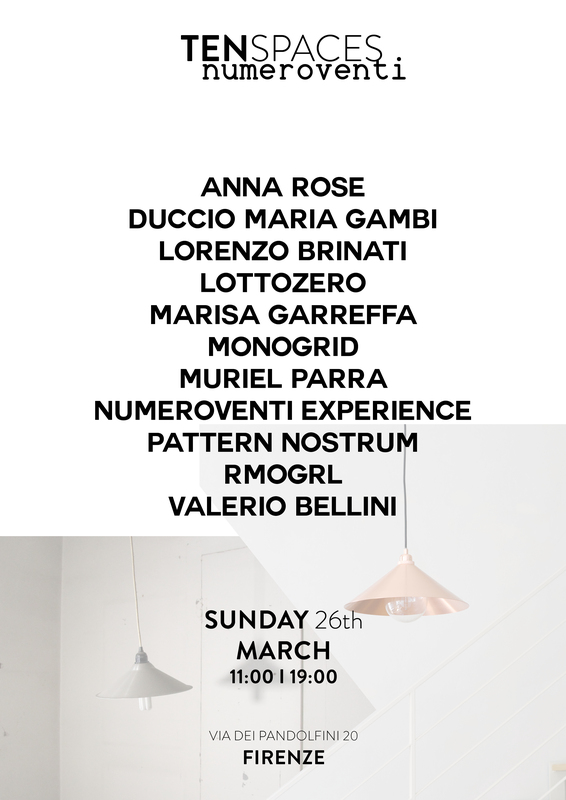 I’m participating in The Greenhouse Effect, a new series of contemporary art evenings at La Serra MK Textile Atelier, in collaboration with Xenos Arte Contemporanea. Come see me tonight! It’s a busy week coming up! 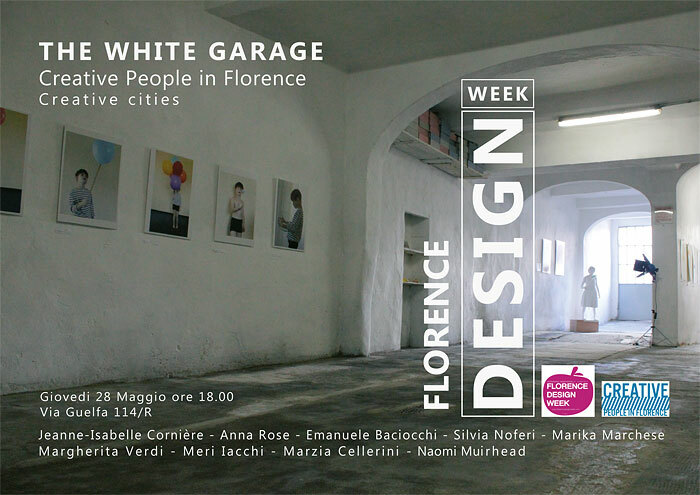 I’m participating in three events during Florence Design Week with Creative People in Florence. May 27 – 31. 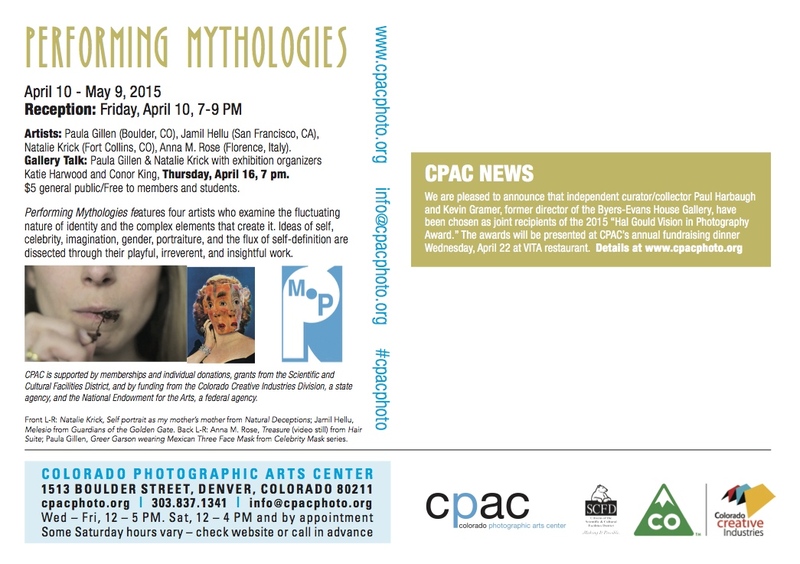 Looking forward to showing some video work at Colorado Photographic Arts Center this month. 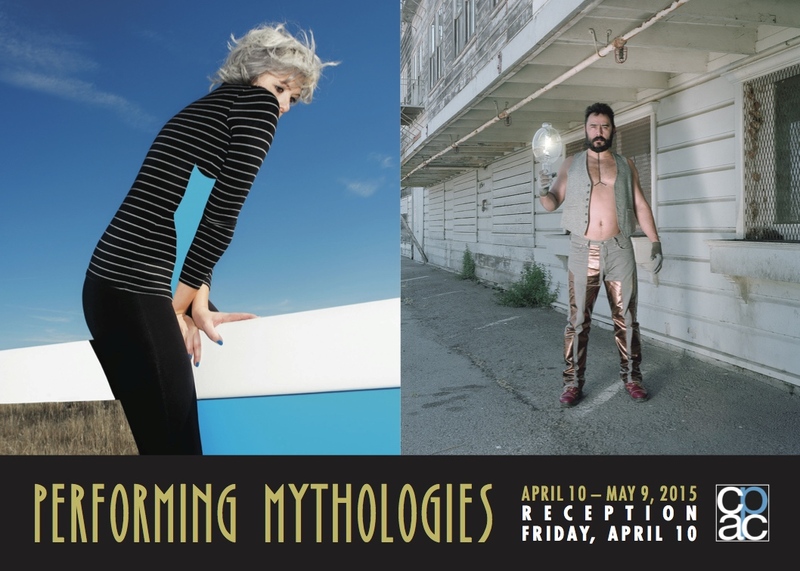 Read more about Performing Mythologies here. Opening on April 10. 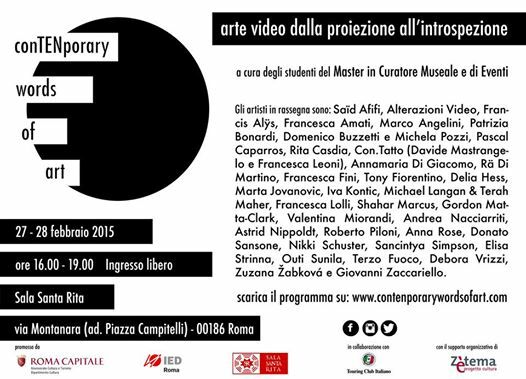 So excited to be sharing the screen with these video artists in conTENporary words of art. February 27-28, Sala Santa Rita, Rome. 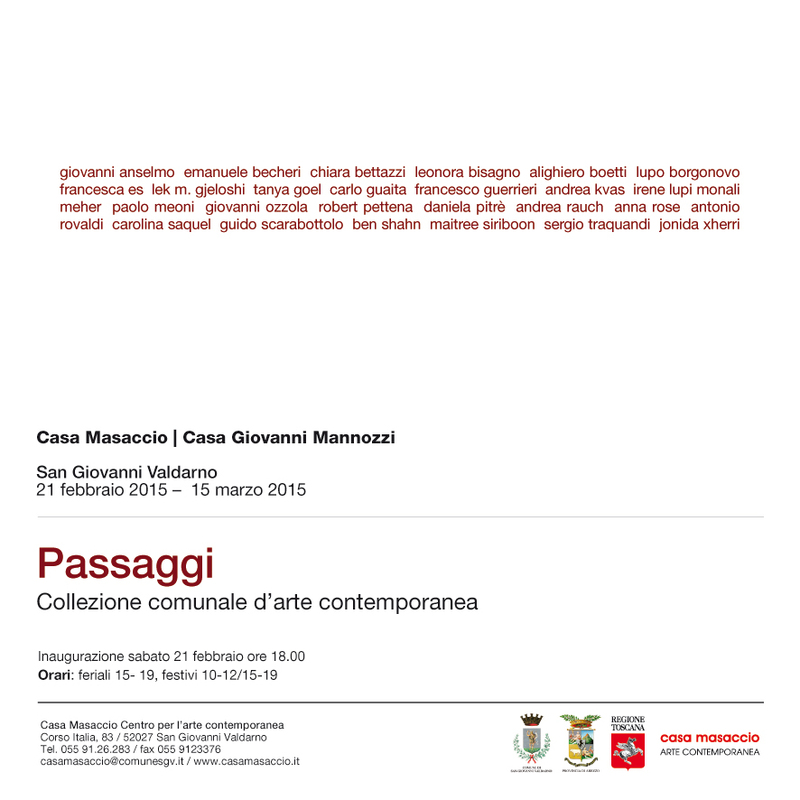 I’m so pleased to be included in this show (and in the collection) at Casa Masaccio. Opening tomorrow. I’ll be redesigning my website over the next few days so many of the pages will be under construction. Sorry for any confusion. 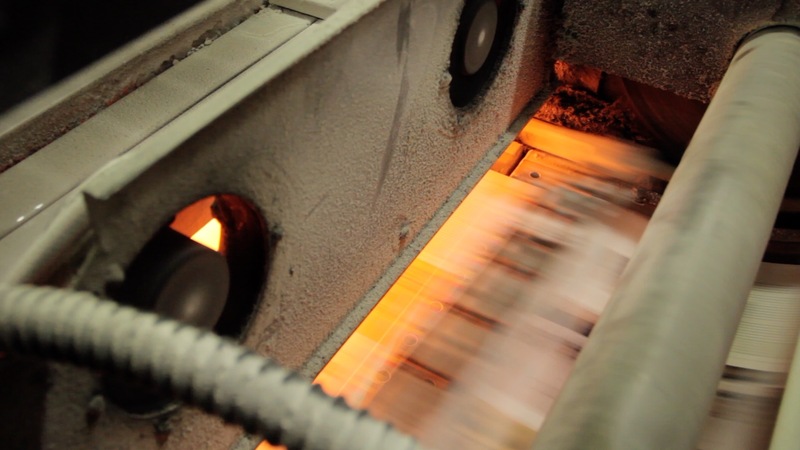 I’m looking forward to some great projects this spring and summer! 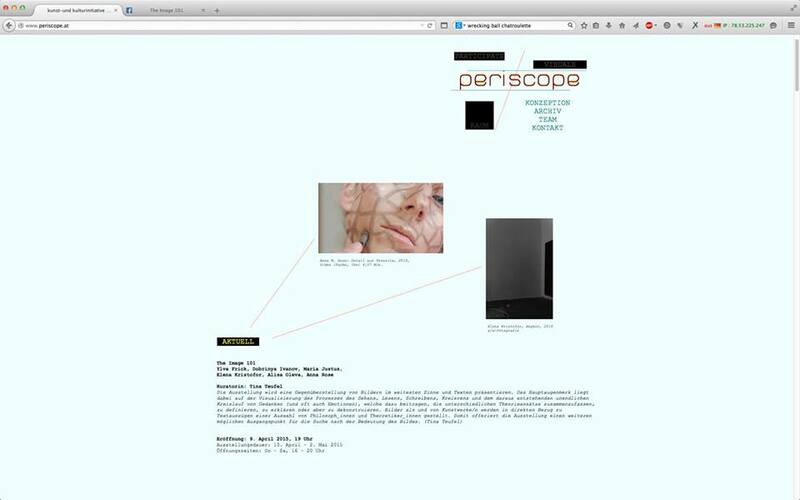 I’ll be heading back to beautiful Salzburg in April for a show at Periscope curated by Tina Teuful. 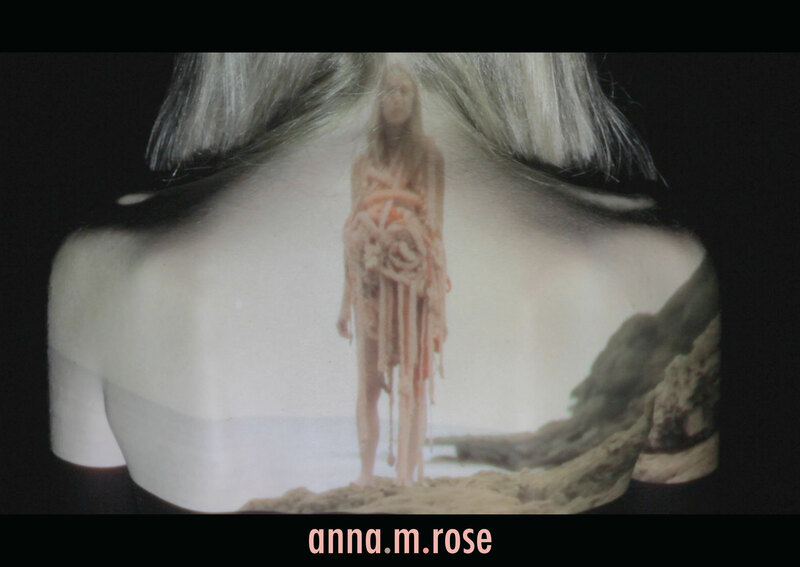 In August Janean Williams and I will be installing Hair Picnic in Munich at Das KloHäuschen. It’s going to get weird…and hairy. 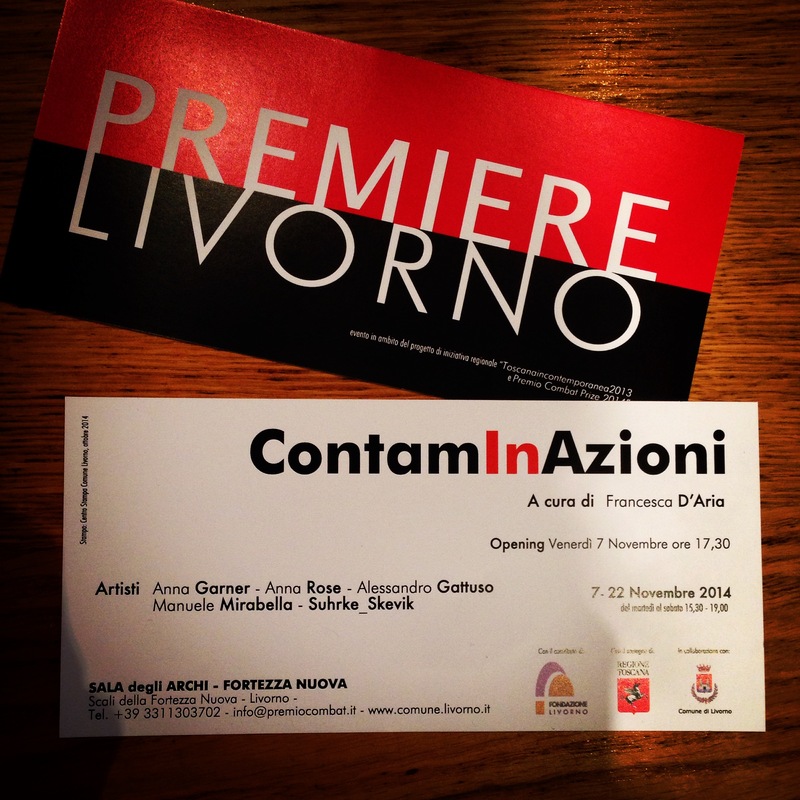 I dropped off The Dunes, The Street, and The Shore in Livorno today and picked up the invitations for ContamInAzioni, curated by Francesca D’Aria at the Sala degli Archi of the Fortezza Nuova. The show opens November 7 and runs through November 22. You can see the catalogue here. I’ve been selected to particpiate in the 50 SLOV/WORDS Project! Read more about the project here. What do you think my word is? Check it out in the catalogue. 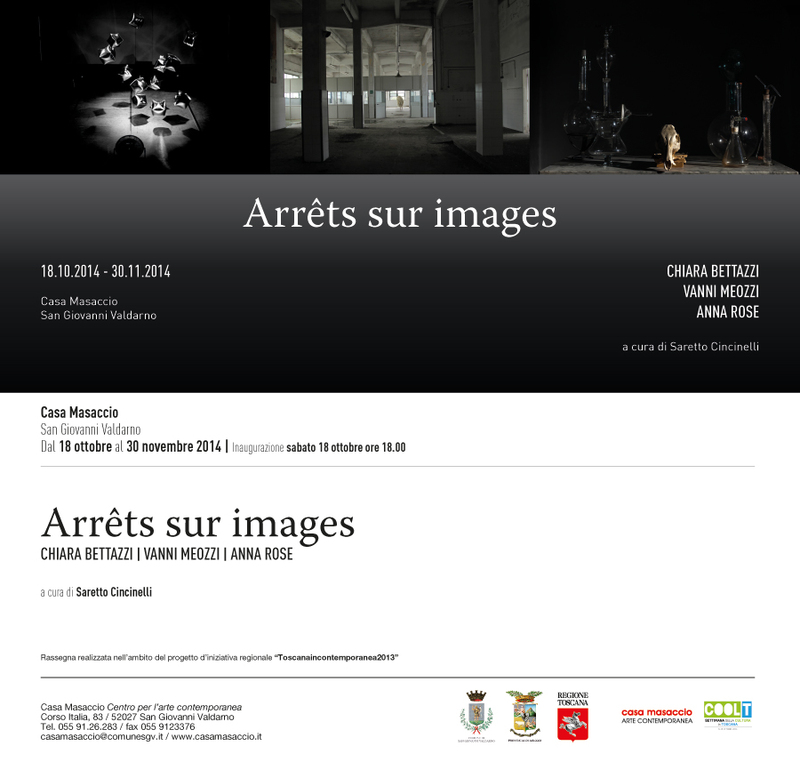 Opening Saturday, October 18 at Casa Masaccio. Thanks to Sara Amrhein, my partner at Creative People in Florence for featuring me in her Contemporary Florence interview series on her blog, When in Florence. Read it here. 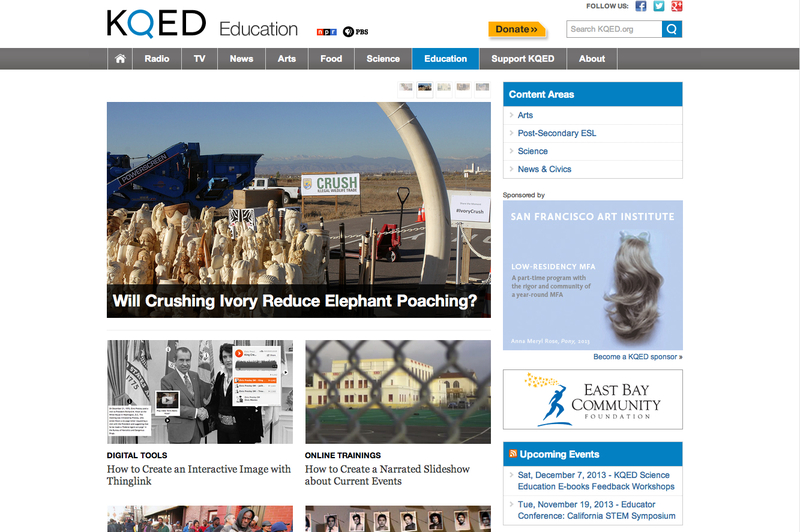 Proud to be leaving my mark at SFAI! Here is The Dunes, featured in the new promotional video for the school. 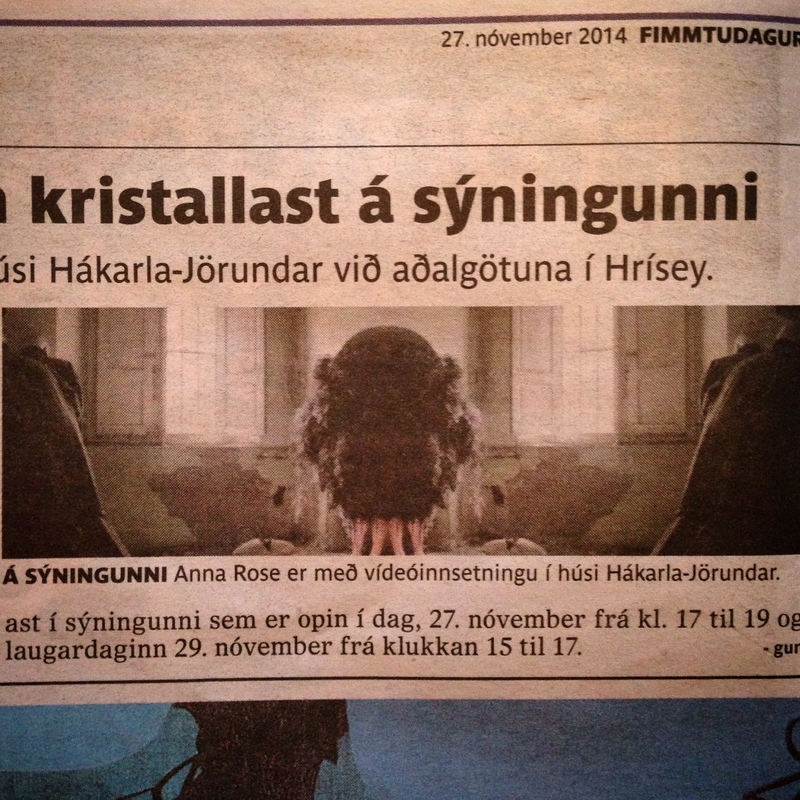 What an honor to be an Akureyri Grant Recipient and to participate in an upcoming residency at Gamli Skoli Old School Arthouse, Hrisey Iceland, November 2014. Take me to the Northern Lights! 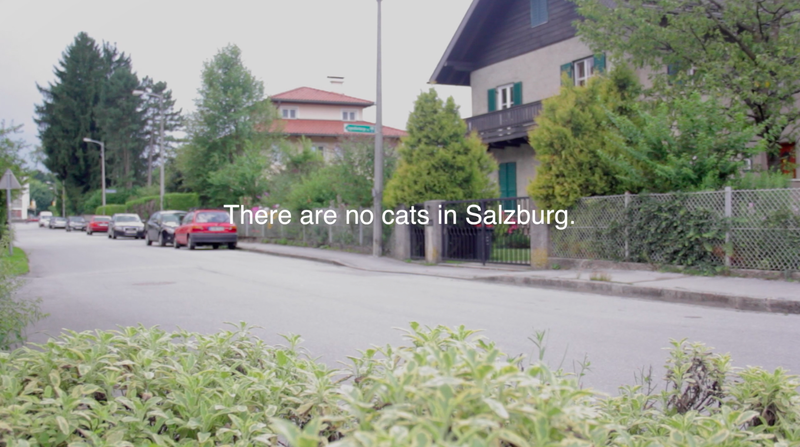 I just got back from two weeks in Salzburg at the International Summer Academy of Fine Arts. A gorgeous city and a lot of inspiring people. Work coming soon. 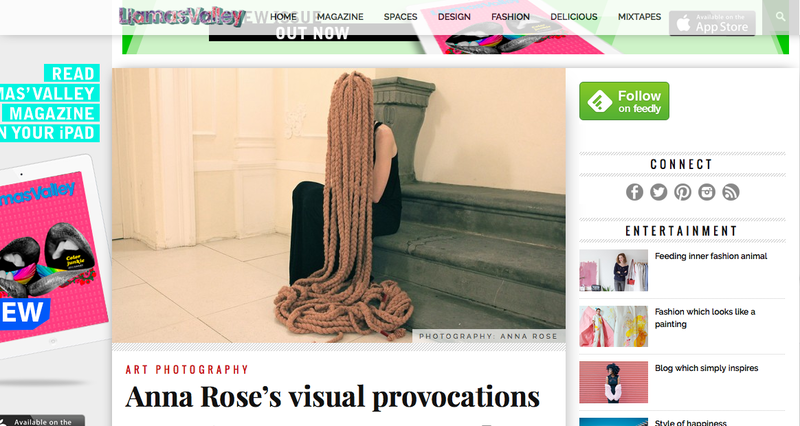 Starting today Vanity Hair is featured in FRAME/S at the Detroit Center for Contemporary Photography. Back from San Francisco. It was great fun working in the unusual space of The Old Mint with Irene Carvajal. Here are the first images from the show. It’s been a busy few months! The Dunes was featured in the Arte Laguna Prize Finalist Exhibition at the Arsenale di Venezia. In April Bosco-Città was part of the Premio Valcellina Exhibition at Palazzo d’Attimis in Maniago. Tomorrow I’m off to San Francisco to participate in Principal at the Old Mint. Check out some images of my hair pieces in a photoshoot for jewelry artist Sara Amrhein. Fabulous fun and a great team from Creative People in Florence! Watch the backstage video here. Check out this interview by author and blogger Ela Vasilescu. Read it here. The Vanity has made the longlist and been awarded an honorable mention for the TFHMF Award! It will be on view at the Supermarket Art Fair in Stockholm, February 14-16. While I’m in Valencia this weekend at Incubarte to see Bosco-Citta’ on display, my work will also be featured in the ProyectorInternational Video Festival in Madrid from November 21-23. 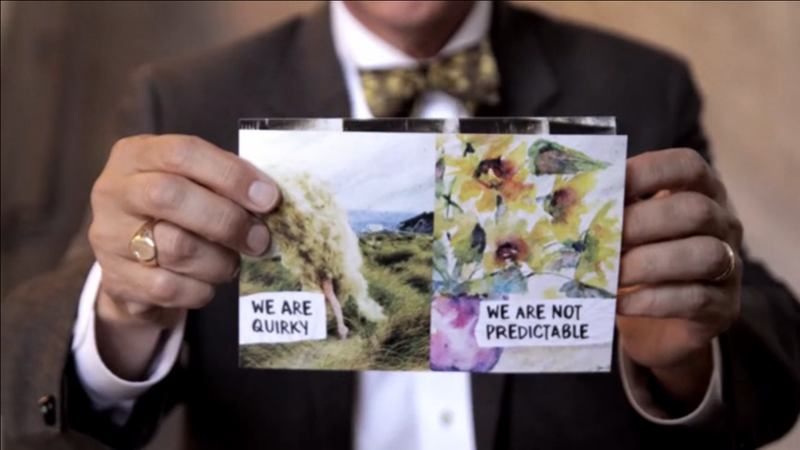 Here is a still from my video Pony (2013) being used in the SFAI advertising campaign for the low-residency MFA program. Shortlisted for the Art Gemini Prize! Very excited to participating in a show at Rebecca Hassock Gallery in London in January. So happy to have been selected for Incubarte 2013! 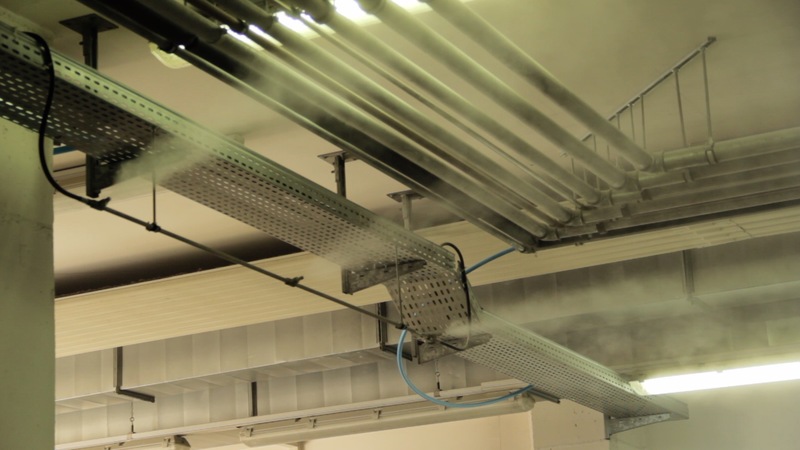 Looking forward to seeing Bosco-Citta’ projected in Valencia. November 21-24, 2013. See me on ArtSlant! I’m so excited to be a Juried Winner on ArtSlant, and to be featured in VIEWS, as well as on ArtSlant’s Facebook, Twitter, and Tumblr pages this week. Getting ready for the Murphy and Cadogan Contemporary Art Awards Show at Somarts. Opening on September 6. So pleased to be showing alongside so many great artists! 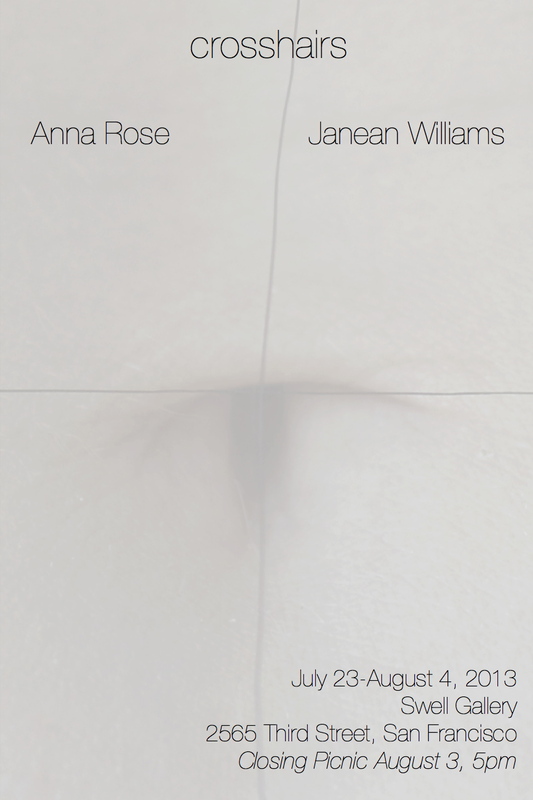 Crosshairs, a collaboration with Janean Williams is now on view at Swell Gallery! Closing picnic on August 3 at 5pm. Off to San Francisco! Looking forward to installing Measured Bodies at the Diego Rivera Gallery in San Francisco with Christie Ginanni Stepan, Katie Harwood, Bari Fleischer, and Raquel Torres Arzola. June 30 – July 6. Opening reception Tuesday July 2, 5-7pm. 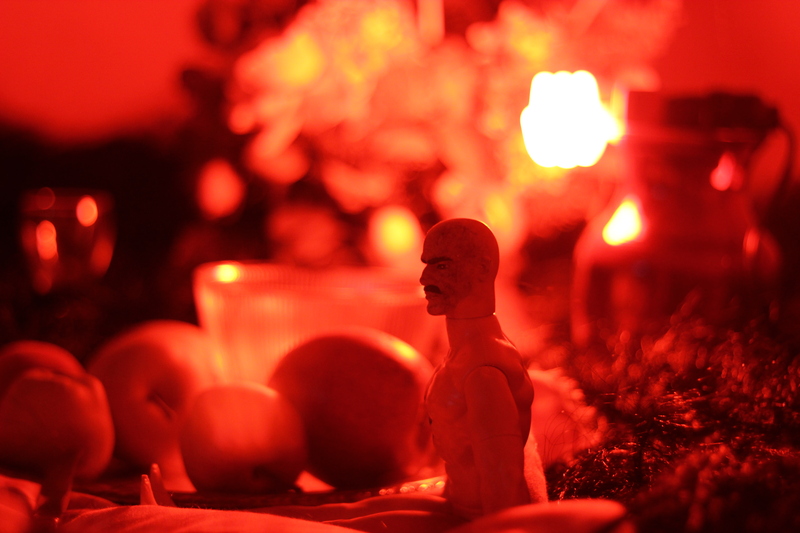 Videos on view at Mayday! 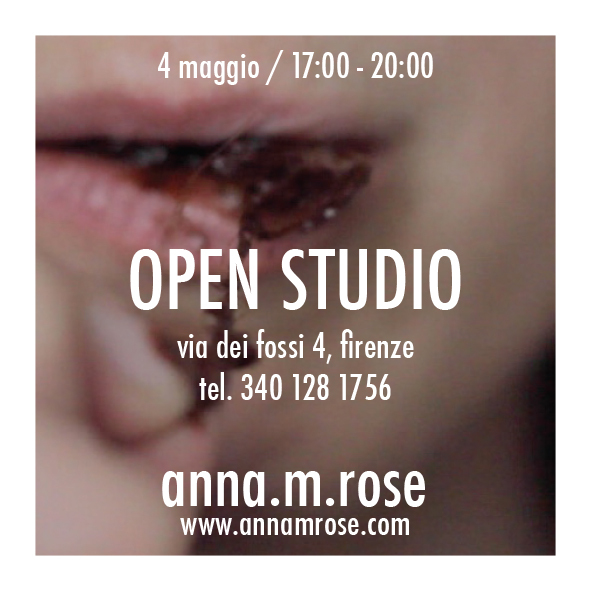 Open Studio! New space. New work. Check out some great photos of my new studio by photographer Birgitte Brøndsted, featured today on her gorgeous blog, A Dusty Olive Green. Thanks Birgitte!